The Beagle is the smallest of the British scenthounds. They were originally developed to hunt in packs with the hunter on foot in pursuit of hare. Today they are commonly kept as a companion. Beagle-like dogs have existed in Europe since the 1300s and may have originated in ancient Greece. 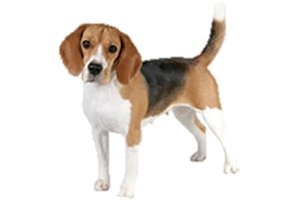 The modern Beagle is believed to have been created in Essex in the 1830s from crosses involving the now extinct Talbot Hound, North Country Beagle and Southern Hounds. The Harrier may also have been involved in its development. Once there was a wirehaired and pocket variety, the later was bred by royals to fit in their saddlebags. The tiny Pocket Beagle survived until the 1930s when it fell out of favor and faded into a memory. Is the Beagle _ Right for You?